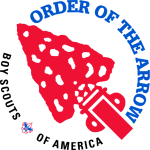 Kittatinny Lodge 5, Order of the Arrow, is a service organization registered with Hawk Mountain Council, Boy Scouts of America, in Reading, Pennsylvania and the surrounding area, serving Berks, Schuylkill, and a small portion of Carbon Counties. Kittatinny Lodge V also provides cheerful service to Hawk Mountain Scout Reservation, the council’s camp. This site is to provide information about our Lodge to both members and nonmembers alike. Feel free to look around and explore the site. We hope you find this site informative and helpful. Enjoy your visit! If you have any questions, comments, or suggestions, please contact us via the feedback service. If you would like to contact a lodge member directly, please use the message center.